Hello! As mentioned a couple of weeks ago, I will be starting a series on my blog on raising boys. 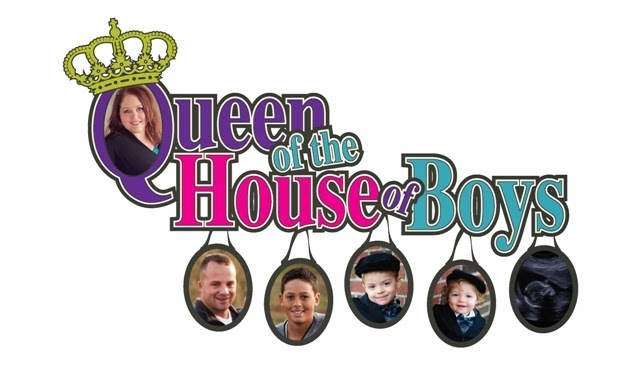 I have enlisted the help of some other moms of boys to guest blog here. I am SO excited at the enthusiasm and response I have had from you all! I think this is going to be great! The first official post will be tomorrow, Tuesday. To kick off this series, there will also be a giveaway! You will not want to miss it, as it is dedicated to Mother's Day! Hi! My name is Shannon. I am a stay at home mother of two awesome boys. Devon is my oldest, he is 10 years old. Seamus is my youngest, he is 4 years old. It was not my dream to be a stay at home mom and sometimes I think I will go out of my mind. However, being able to spend this time with them and witness all their firsts - to see them grow and change right before my eyes is the greatest gift my husband could give me. I blink and they've grown. Where does the time go? I am married to the love of my life, Ian. I am sure you can tell by our names that we are Americans of Irish descent :) I never thought I'd be a mom surrounded by boys - even our dog and cat are male! It keeps life exciting - never a dull or extra clean moment - hah! And - I wouldn't change it for the world! Stay tuned tomorrow for Shannon's post! And....a Mother's Day giveaway!